Sit back, relax, and let the good times roll. Feel free to ask as many questions as you want as you travel from neighborhood to neighborhood sampling some of the most popular cocktail bars in the country. Make sure to ask your guide for restaurant and tour recommendations. There are some hidden gems you don't want to miss. Starting off in true New Orleans fashion you will be picked up curbside in front of your hotel. Nothing keeps a New Orleans parade from rolling so please be ready outside as the driver will arrive within 15-20 minutes of your scheduled time. Don't be late for the party! People come from all over the world to experience the charm of New Orleans. This tour aims to show you just how we got this way. This tour runs rain or shine, no matter the number of people that booked the tour. As we said, the party must go on! 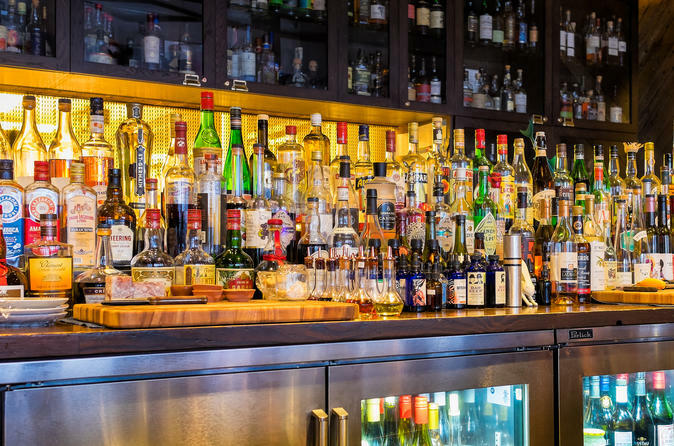 Feel free to bring a drink with you to start the tour, but make sure to finish it before we get to our first stop, a very popular bar located just outside the French Quarter. Three cocktails are included, one at each of our main stops. We have carefully selected the cocktails so that you get a true taste of what New Orleans has to offer.